For years I had seen the formidable gooseberries in the forest. Green with long spines, they looked like berries from a far-away planet. No one I knew did anything with the gooseberries so I opted to hike on by and leave the berries to the brave wildlife that had learned to manage all those prickly things on the outside of the berry. Have I made my point that the berries do not look friendly? With our expanding interest in foraging, Amanda and I decided that we needed to try out ALL the edibles in our locale. Gooseberries, here we come! When the student is ready, the teacher will come. 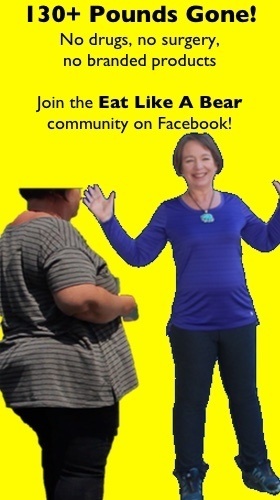 Our teacher was Pat Rickert who has lived in the area for many more decades than we. She coached us on how to get the berries off the bushes and where to go for the best harvest. It turns out that the green intimidating objects I knew as gooseberries were simply not ripe. 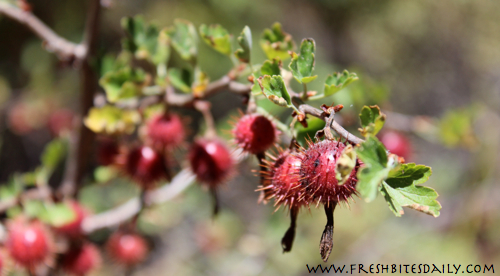 When the berries ripen to shades of ruby red and magenta the sugar is high and the prickers soften considerably. Harvesting the berries was much easier than we anticipated. Are wild Sierra gooseberries worth the trouble? Not being in survival mode right now, we want our food to taste good and be worth the effort. I admit that we are spoiled. Now we are spoiled even more. Those ripe gooseberries cooked up into a most amazing syrup – unique, earthy, and addictive. The little bit of work required to make the syrup is well worth it. And the work of harvesting? How can you call it work as you stroll among the ancient forest of trees at 6500 foot elevation, birds singing, breeze cool and clean? Work? You get my drift. How do you make gooseberry syrup? Wash the berries a couple of times in cool water. Use a large container that will hold the berries along with enough water to cover them. Gently swish the berries around and drain off the water. Do not let them soak or they may start releasing their precious juice into the rinse water. Pick out any stray leaves, sticks, and remnants of the forest. Put the berries in a large enough pan to leave 2 inches of headspace. Add just enough water to cover the bottom of the pan. You do not want to overdo the water and dilute your juice. This small amount of water keeps the berries from sticking to the bottom of the pan in the initial cooking. In a few moments the gooseberries will begin to release juice and create their own swimming pool. Place a tight-fitting lid on the pot and keep the berries on low heat until you find the perfume of the berries begin to fill the kitchen. Remove the pot to another surface where you have access to electricity. Sprinkle sugar over the berries in a 1 to 2 ratio. If you had 2 cups of berries, use one cup of sugar. Using an immersion blender, crush the berries and mix in the sugar. You could use an old-time potato masher for this job, but the immersion blender does a more thorough job, releasing more of the juice. Return the pot to the stove and simmer for another 20 minutes or so, stirring frequently. You do not want the sugar to begin to burn. Put the cooked berries through a sieve to strain out the roughage. 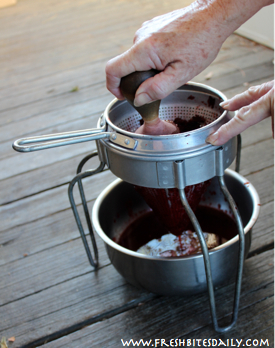 We use an old cone-shaped sieve like my grandmother used for her elderberry jam. I love the sieve and the nostalgia that comes with it. I find it easier to manage than a Foley food mill. If you have enough syrup you could can it like jam. We’ve done small batches that hardly call for canning. Our syrup is frozen in ice cube trays and then bagged for longer storage in the freezer. Having a limited amount of this marvelous syrup, I’m already making plans about how to best use it. 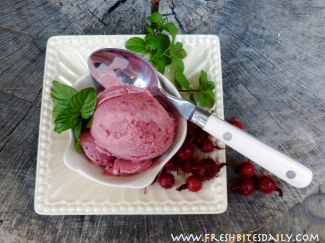 The gooseberry flavor marries well with cream, hence we have had gooseberry ice cream. It also blends with many fruits. How about thawing out a cube of syrup to add to a pint of homemade applesauce? Magic! You will not run out of ways to enjoy this antioxidant-rich addition to your menus.